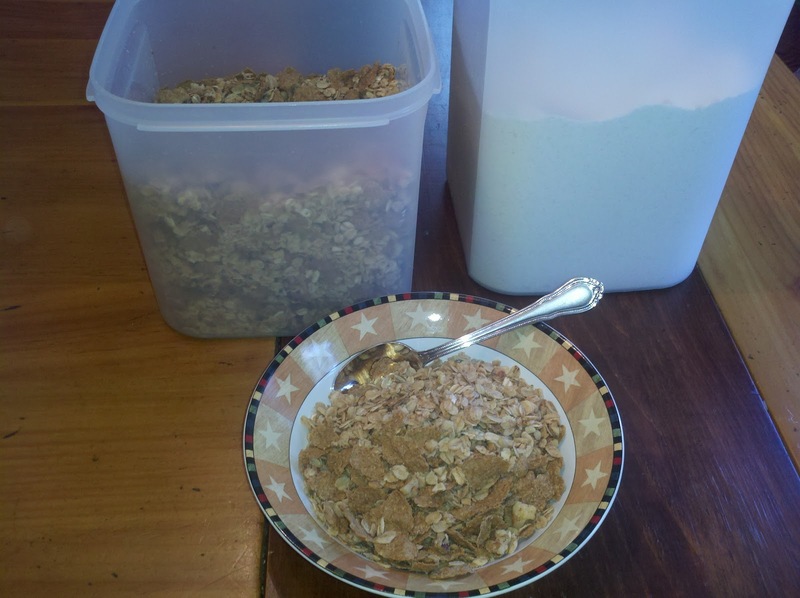 Seasons of a Shepherdess: Going, going...granola! Mix in a large bowl then start your syrup coating in another bowl. Add to your dry mixture and coat well - pop in your oven at 250degrees for 1 hr. Stir granola every 20 min or so for an even crunch and to prevent burning. Keeping that breakfast cupboard stocked is an on-going process...here's another pancake/waffle mix recipe that fills up that large piece of Tupperware I never thought I'd use! Mix well - store airtight and when ready to make pancakes...add 1 cup of Milk, 1 Egg and 1 tablespoon of Oil to every cup of Mix.